Saving money by eliminating staff is by no means a novel concept, and for anyone who has eaten a burger at McDonald’s knows it has been decades since human hands have played a role in shaping burger patties. 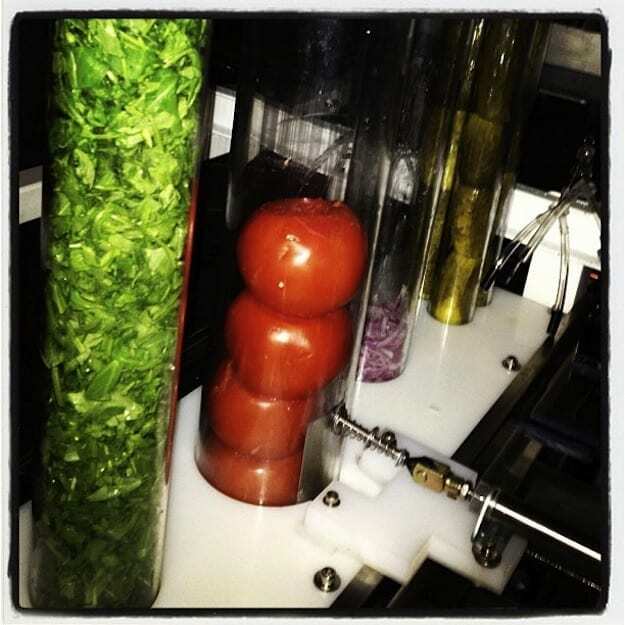 The revolutionary Momentum Machines promises to automate the entire burger making process while adding customized options that aren’t currently available to fast food restaurants. Not only does their machine form and cook patties but it also slices the toppings to order, assembles the burger and even bags it up for waiting customers. As an added bonus the company promises that their technology will allow for the custom patties, composed of meat ground to order and combined in whatever combination the diner so desires.